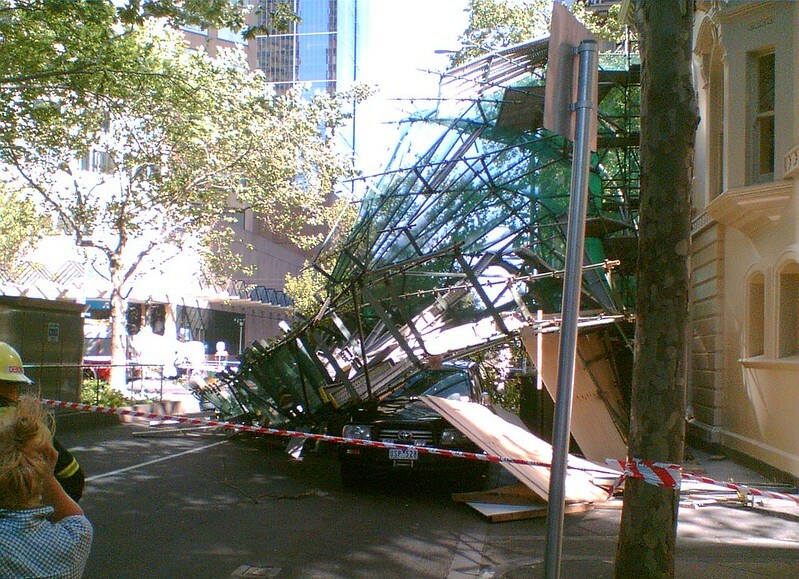 Tram stop barriers – are they good design? 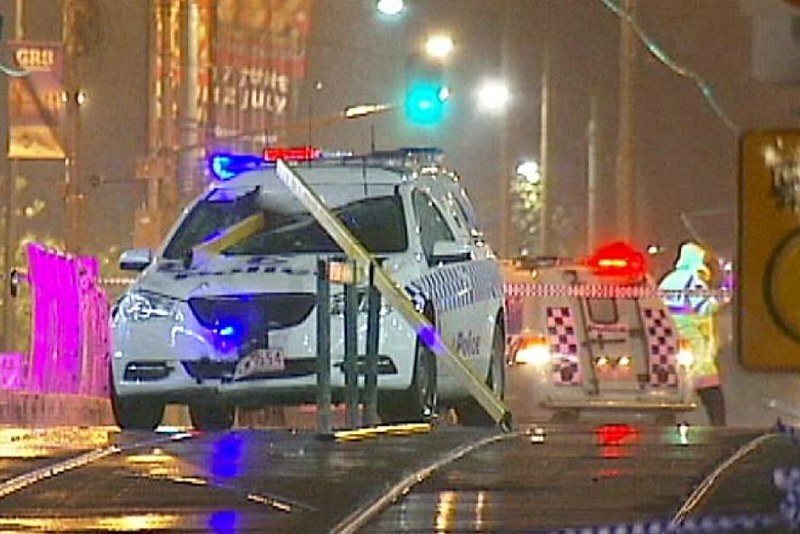 Yesterday’s collision between a police vehicle and a tram stop barrier has raised the issues of whether those barriers are a good design. Thankfully the two policemen will recover. The barriers are intended to stop pedestrians crossing the tracks at tram platform stops. It’s hardly surprising that people do this, given many of the stops are so long as to fill entire city blocks, and it is often the quickest way across. 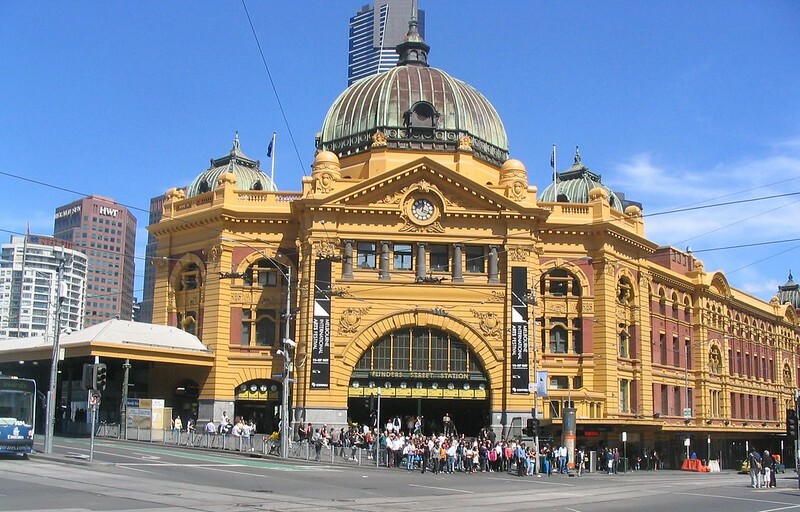 At the Federation Square stop in question, time saving isn’t likely to be an issue because unlike the other stops on Swanston Street which are open, the two platforms are enclosed. Perhaps the fear is people will jump the tracks due to congestion on the platforms — in which case the logical thing to do is to widen them. Given little traffic congestion southbound at this point, widening and moving them across to take one southbound traffic lane would make sense. 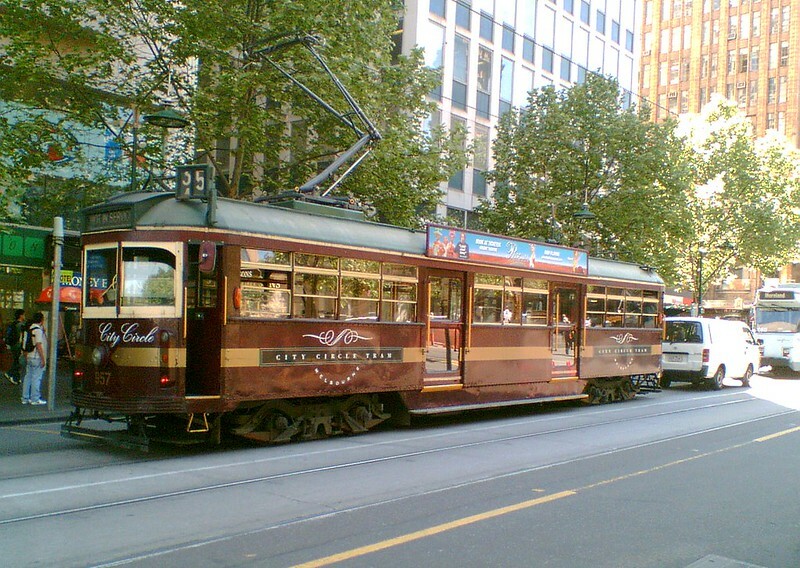 Certainly crossing the tracks could potentially be dangerous, particularly on Swanston Street with a large volume of trams. But are there statistics supporting the use of barriers? And at quieter stops, if people pay attention, is it really a huge issue? As I understand it, crossing the platforms is deemed to be an equivalent offence to doing so at a railway station, which doesn’t make sense given trams are slower, can stop faster, streets have a smooth surface rather than ballast, and of course the distance down from the platform is much smaller. 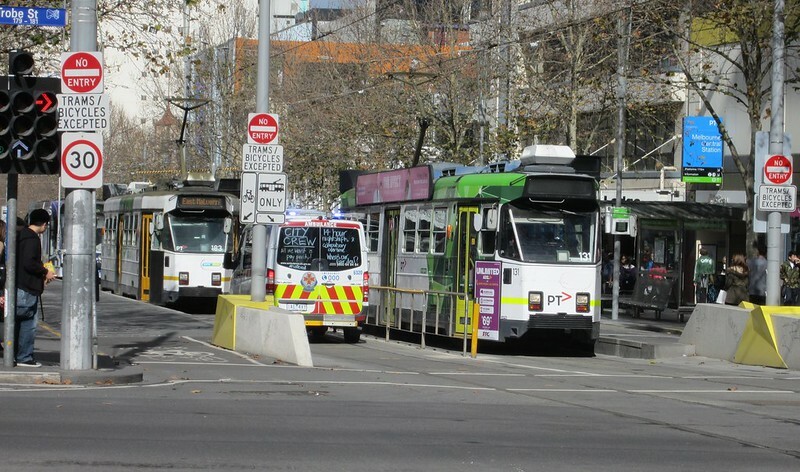 Another issue with the barriers is that emergency vehicles using the tram tracks (which they often do) are unable to move around stopped trams. 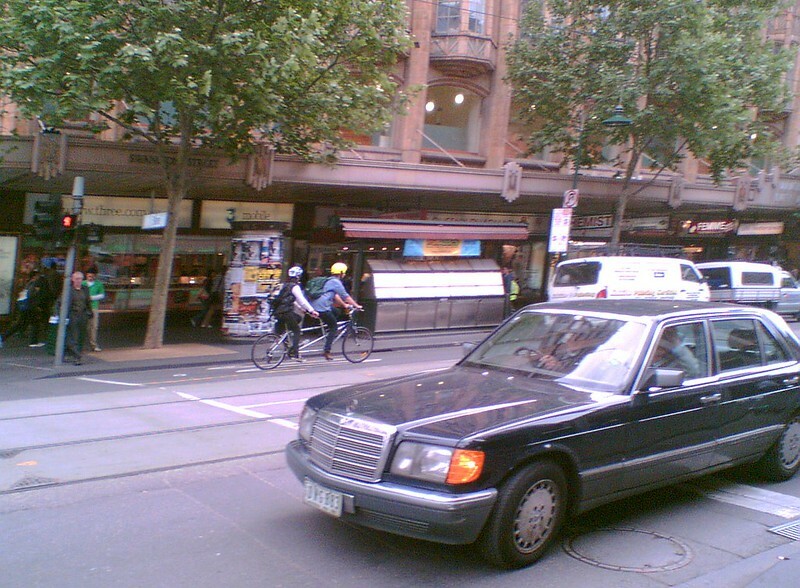 Here’s an instance of an ambulance going to a call, stuck behind a tram. 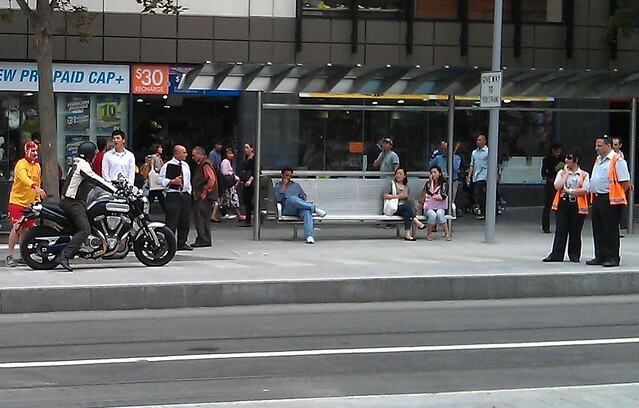 Platform stops are important to help provide an accessible and efficient tram service. But perhaps the wisdom of block-long stops in busy urban areas, and the use of barriers in particular, needs to be considered. 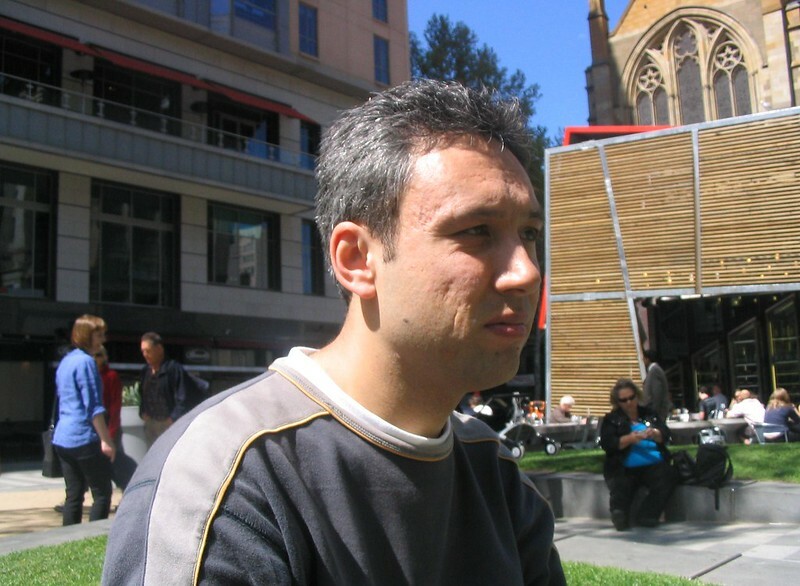 An email each morning — if there’s a new transport-related blog post. 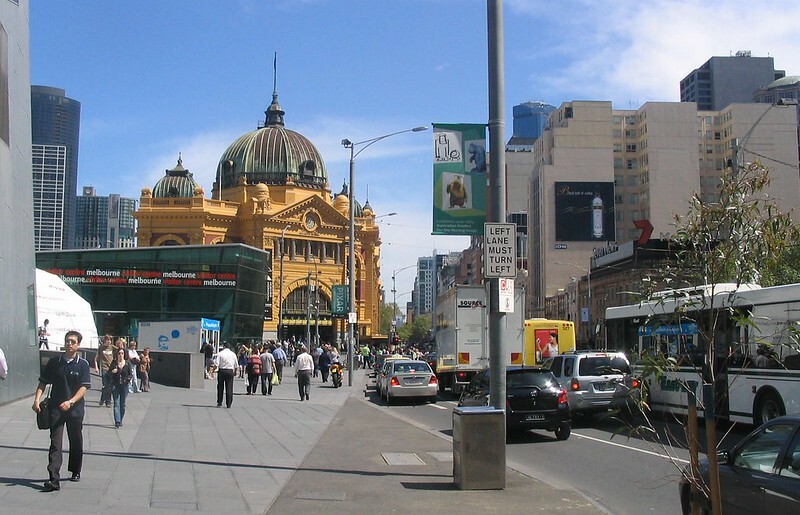 The new Swanston Street superstops – do they work? 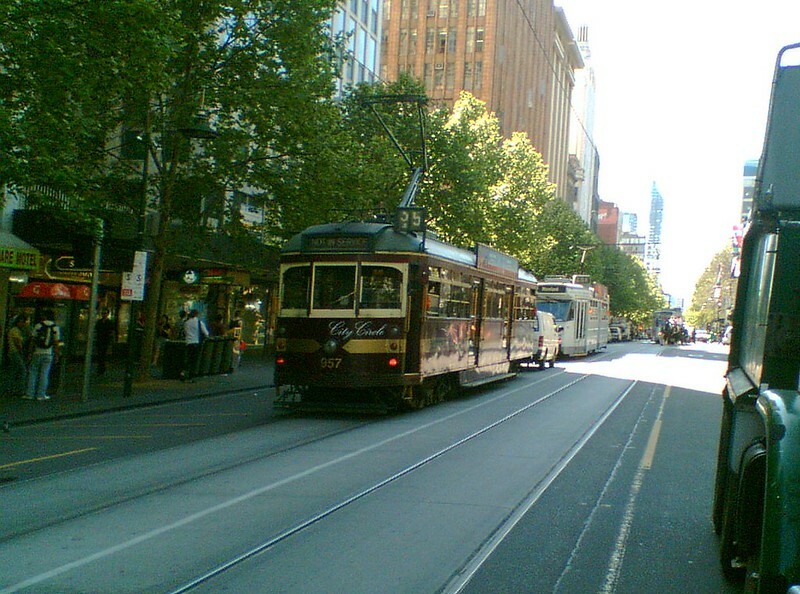 Last week the first of the new Swanston Street tram superstops opened. 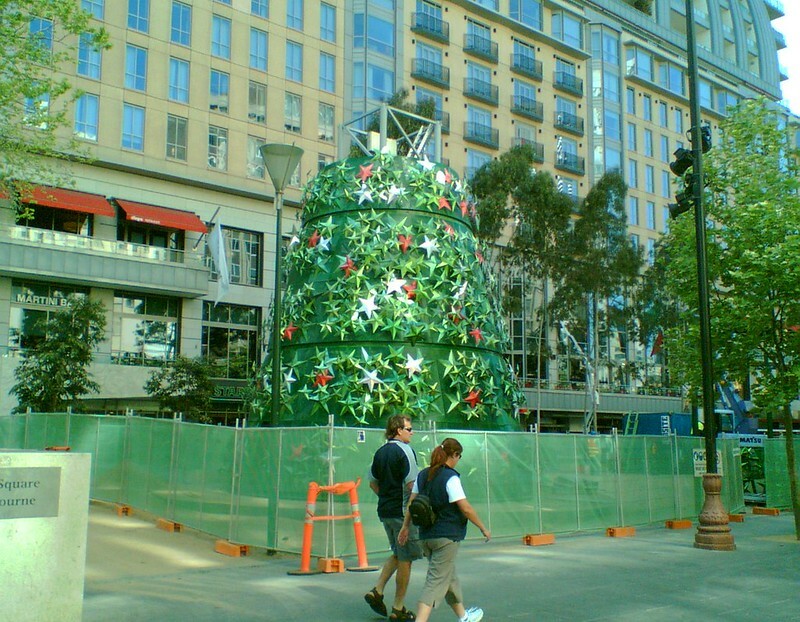 On Monday I went down at lunchtime to have a look, and came across Lord Mayor Robert Doyle, City of Melbourne planner Rob Adams, and Yarra Trams’ Michel Masson all down there having a look, and talking to the media about it. 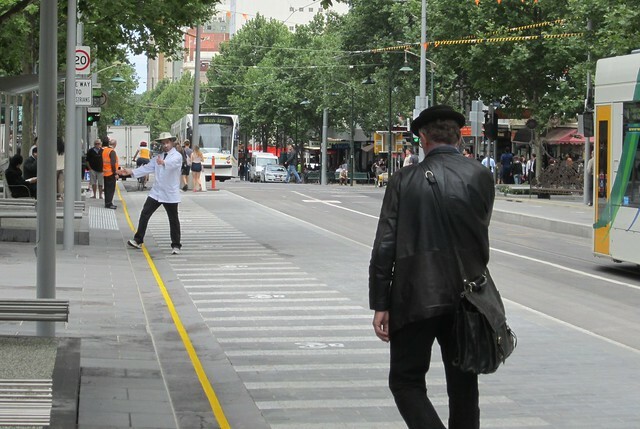 It’s good to see this space finally being rid of cars, and the priority given to the main users of Swanston Street — pedestrians, tram passengers, and cyclists. 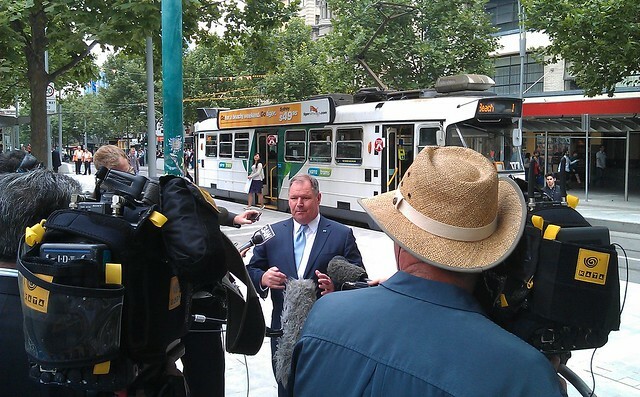 And of course it’s great to get some more accessible tram stops in the CBD — the first for Swanston Street that are actually within the Hoddle Grid. During the first couple of weeks, they’ve got people dressed as lifeguards and umpires etc using some humour to direct people to the right spots. 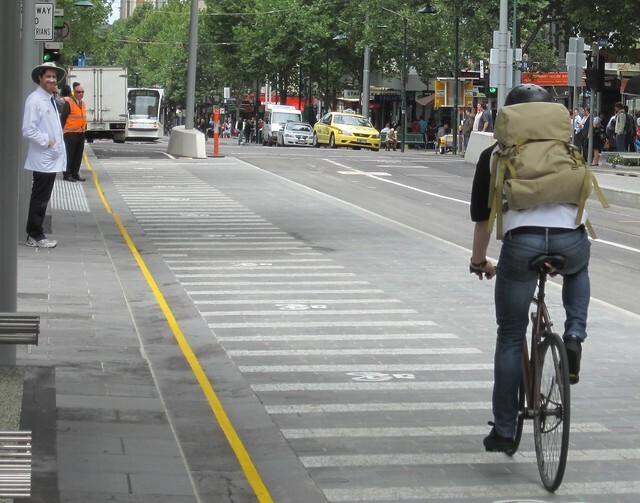 This is important because the space needs to deal with tram passengers, pedestrians, and cyclists. Thankfully motorists are (theoretically) out of the equation, though at one stage I observed a motorcyclist unwittingly ride in. The real problems here are that (a) they’re a unique design — in fact one keen observer reckons they’re unique in the world –and (b) they’re not intuitive. 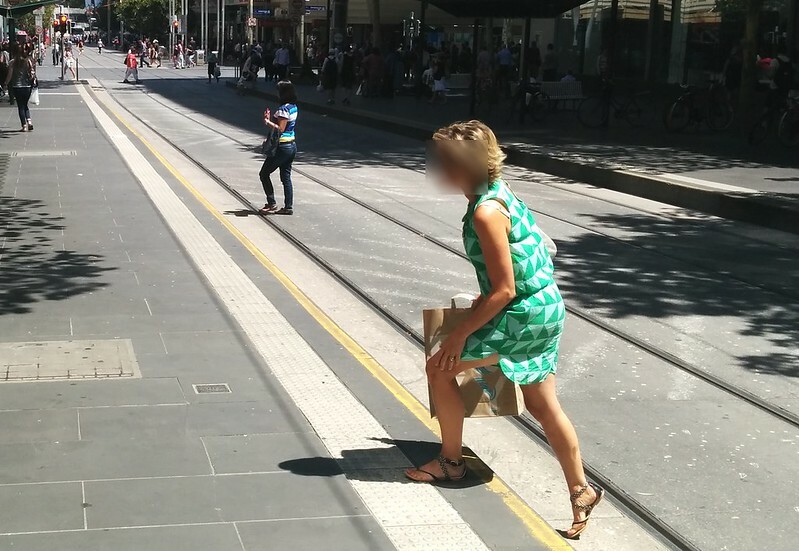 For pedestrians, it’s simply not obvious that the space where you board the trams is not where you should walk along. For cyclists it’s a little clearer where they should be, and from what I saw, they seemed to realise they needed to stop and give way to passengers getting on and off trams. I haven’t been there at the relevant times, but I’m particularly curious to see what happens when large numbers of tram users getting on and off (such as during the University peaks) intersect with large numbers of cyclists. Even after adding small “bicycle” markings onto the bike lane, pedestrians and passengers seem confused. Maybe they’ll learn, but it will take some getting used to — something acknowledged by Masson and Doyle (and Adams I assume). I’d expect some further tweaking, but I doubt there’ll be any major re-design any time soon. Like anything else, it requires the critical mass of people to know how to use them, and then (most) visitors will hopefully just follow everybody else. Whether this will happen, only time will tell. 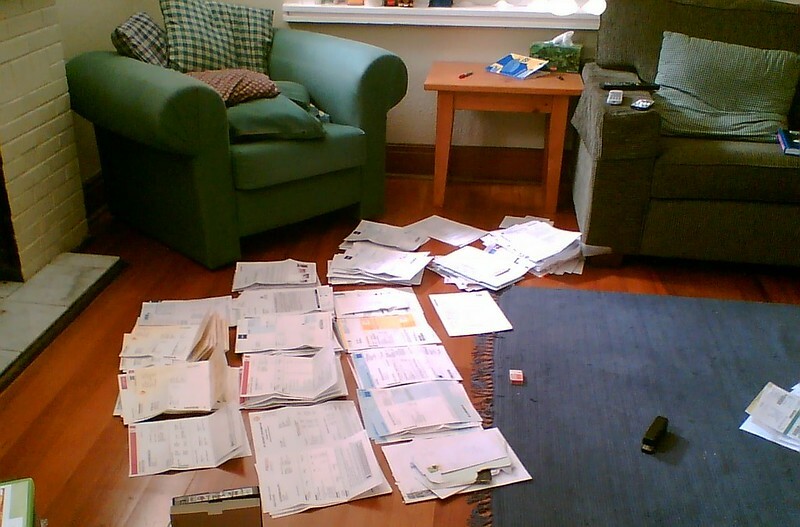 And in the mean time, work will begin on the next two stops, further south.